Ever since I bought MAC Woodwinked eyeshadow a few weeks ago I've been wearing it at every opportunity I get, particularly when going out at night. These photos are from a few weeks ago, a look that I wore to my husband's birthday dinner. Here is a full breakdown of the products used. Where I have done a review about the products previously I've provided a link to the review post. What are some of your favourite eyeshadows at the moment? What colours can you not get enough of? The lip colour is really pretty too! Great combination girl! your cheeks look amazing :) at the moment I'm loving MAC Nylon and UD Naked Naked shade. Leah - thanks babe... you should check out All Cosmetics Wholesale for cheap MAC eyeshadows, it's US based so you pay US prices and they delivery to AU. Bonus! Passing Fancy - Oooh I love the Naked shade too, it's great for contouring the eye area. I'll have to check out Nylon, not sure I know which one that is. Saumya - thanks hun, I've got ST as well, love it. Gorgeous Lilit. I LOVE the look of your eye makeup in these photos. Perfect eyeliner too. Very pretty! MAC Woodwinked is one of the few MAC colors I have. Love it! Really like how your lips turned out! Great color! Gorgeous! I've actually been doing something similar of late: Woodwinked and Bronze eyeshadows, a flick, bronzer, sheer base, and statement lip. Love! Woodwinked is one of my favourite eyeshadows, it makes any eye combo look amazing! And that lipstick combo is GORGEOUS!!! It looks amazing on you! Woo! I actually have this shadow but have had no ideas on how to use it. Love the use of Amber Diamond and lover. <3 great job. 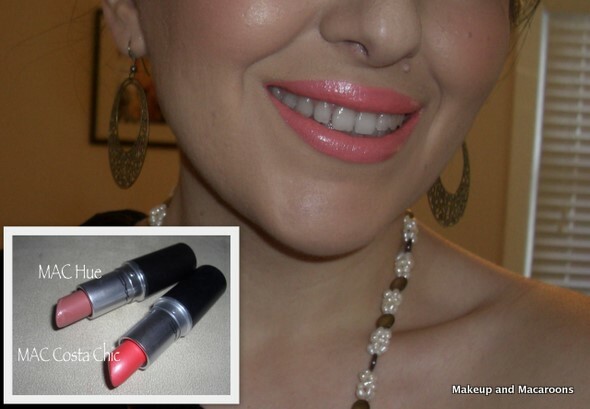 Gorgeous makeup Lilit! 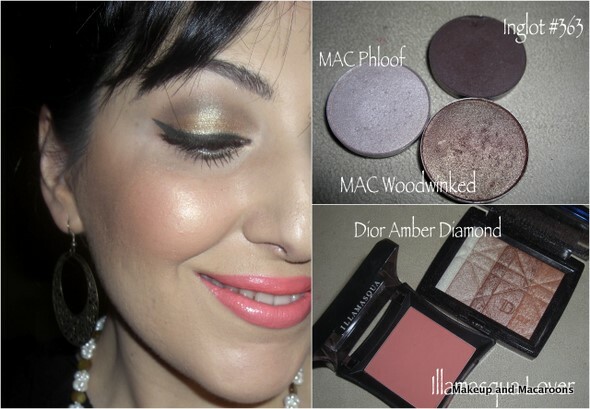 Woodwinked is probably my most reached for MAC eyeshadow, such a flattering colour! Just gorgeous Lilit! So pretty! I'm pulling out my Lover and Woodwinked now! Thanks for your comments everyone, glad you liked the look. You just look stunning! !there's not one look you've made and I havent stare at you!You always look gorgeous doll!! Woodwinked is the ultimate holiday e/s I guess! So in love with your lip colour! Its gorgeous! And your make up is flawless, love your glowy cheeks!